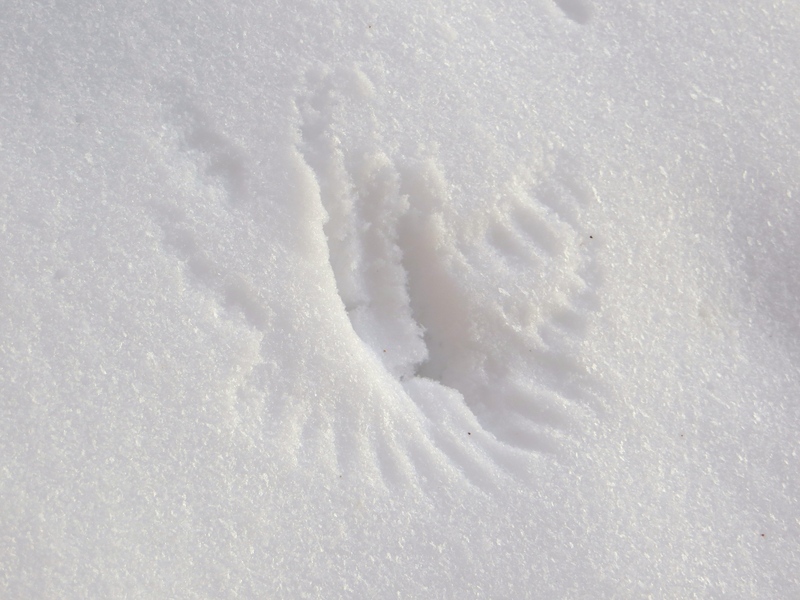 Enjoy this perfect snow angel… created from a bird landing and taking off in the snow! Last call for questions for the Q&A session! I always like seeing these, but they are seldom as perfect as this one! How’s the puppy settling in? What do the bees do over the winter? Do bees hibernate? How about the chickens? I’m pretty sure they don’t hibernate, but can they find food through the snow? Or do you supplement them? That is a precious snow angel… a wonder of nature…. I’d say that God blessed you and yours with an angel seal. A beautiful Snow Angel. So perfect. A question. The cows on your ranch, what are they for? With my non-existent ranch knowledge, I can only guess from limited farming knowledge gained from TV program’s and many holidays on a Welsh farm: are they for milk, meat or breeding?